Welcome to the club, India, and happy Birth Day. With the July 1 launch of IRNSS-1A, India and the Indian Regional Navigation Satellite System have officially joined the GNSSS (Global Navigation Satellite Systems Society). With full membership, however, come some society duties and responsibilities. Chief and first among these is to provide all other society members and interested parties with an interface control document (ICD) defining the characteristics of the signal transmitted from one’s satellites to navigation receivers on the specified radio frequency(ies). IRNSS signal transmitters will operate in L5 band (1176.45 MHz) and S band (2492.028 MHz). The system targets provision of an absolute position accuracy of better than 10 meters throughout the Indian landmass and better than 20 meters in the Indian Ocean, as well as a region extending approximately 1,500 kilometers around India. Who needs an ICD now, you ask? Who wants to navigate the Straits of Hormuz or New Delhi’s traffic jams using one satellite? No one, of course. But nearly every GNSS product developer, designer, and manufacturer has a vested interest in quickly getting their hands on such a document, if they want to sell goods in India, a market of very significant size. Development, design, and manufacture cycles are long, especially when you begin with new and unknown quantities such as a new signal in space. IRNSS once posted a very aggressive schedule: beginning in 2011, it planned to launch two satellites per year, to achieve a full constellation of seven by the end of 2014. Of course, it has fallen a bit behind that curve with first launch in 2013. This would push its operational date to end of 2016. Not all that far out. As our OEM editor Tony Murfin wrote last year in a BeiDou context, developers are building digital signal processing application-specific integrated circuits with so-called generic reconfigurable channels to accommodate future add-ons — but RF front-end hardware and signal processing software still require lengthy research and development. Generic DSP channels and associated software decoding algorithms may not be generic enough for all the things that might await in new modulation schemes yet to come online. So it’s not just rabid intellectuals like the Noble New Brunswegian, my friend, colleague, and GNSS mentor and our intrepid Innovation columnist, who prodded me up on this bully pulpit to ask: O India, where is thy ICD? 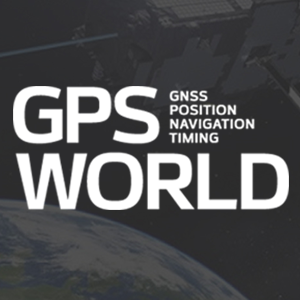 The world’s breadth and depth of GNSS wants to know.